Add posh detail above cabinetry, hoods, either on it's own or with stacked moulding. The Classic Revival Crown Insert exemplifies Classic Revival style with a modern twist. 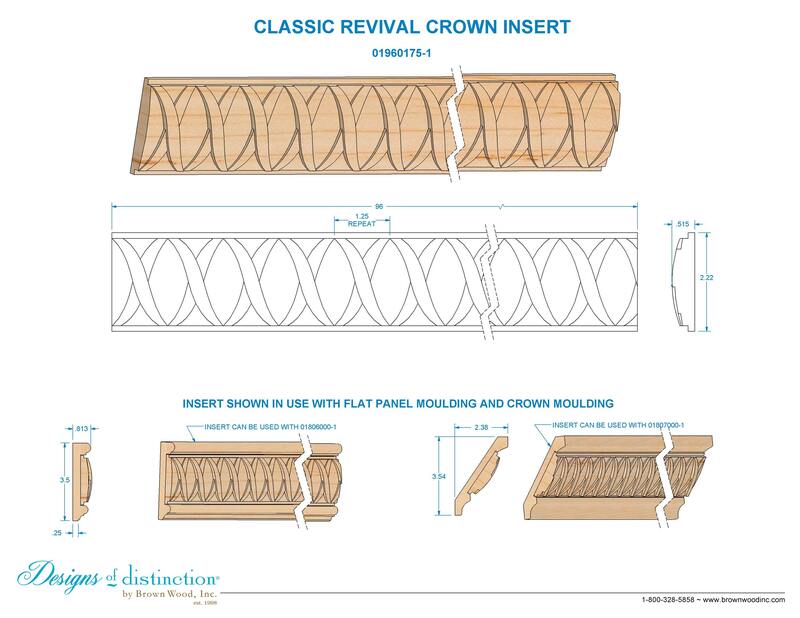 The Classic Revival Crown Insert can be used on it’s own or combined with our Flat Panel or Create-A-Crown® Moulding for a truly unique look. The Classic Revival Crown Insert is part of our Classic Revival Collection. Add our lighting kits to create cove lighting in kitchens, baths, dens, bedrooms, and more. Shop more of this look in the Classic Revival Collection.